Hi all! Today is a very special day for interpreters and translators, i.e. those people who make free and direct communication between you and your Russian lady easy and possible. If you are a single, the idea of bringing a gorgeous Russian wife is really appealing. Unfortunately, English skills are not a must in Russia and Ukraine, and translation services are thus necessary. Translator is a necessary means of communication with your Russian lady, especially if you made a choice and now want to visit and see her in person. “If it flies it dies; if it hops it drops; if it’s brown, it’s down”. Sound familiar? Are you fond of fishing? May you be a hunt addict? Do you think that hunting and fishing are delightful in themselves? Is closed season a real tragedy for you and Opening Day is like Christmas? 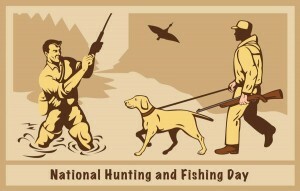 If so, join us in a celebration: 28th of September is known to be National Fishing and Hunting Day! » Read more..
September 27 – World Tourism Day! Almost everyone likes to travel. It is so amazing to leave your habitual life for several days, to change of scene and to go to discover new cities and countries, new people and customs, new cultures and ways of life! So positive influence of tourism to the social, cultural, economic and political values worldwide is the reason why we celebrate the World Tourism Day on September 27. » Read more.. Comments Off on September 27 – World Tourism Day! Every wants love and be loved. Of all happiness and joys the greatest is to be comprehended and to be loved – truly, heartily, and sincerely. Being loved is having a person adore you, whose heart is beating for yourself. This person will be with you every day and love you with all his or her might. All Russian girls dream about this feeling. 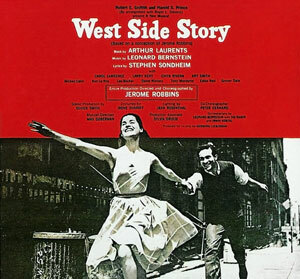 The famous musical “The Westside Story” is about such love – immortal, faithful, true. Odessa – Vivid, Multicultural And Magnificent! This is one of the most beautiful Ukrainian cities with its special romantic and charming aura. This adorable Ukrainian city is famous in all over the world, probably thanks to its multicultural character: Greeks and Jewish, Italians and Frenches, Albanians and Bulgarians, Moldavians, Armenians, Poles and, of course, Russians and Ukrainians lived in Odessa from its founding days and had a great influence with its politics, society and culture. 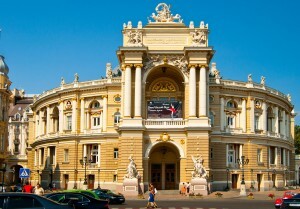 Comments Off on Odessa – Vivid, Multicultural And Magnificent! Festival of Smithcraft was held in Donetsk, Ukraine. Forged Figures Park, one of the local famous sights, hosts wrought iron artists from Ukraine, Russia and Europe. Iron Man, Iron Tower of Pisa and a windmill are presented by their authors and become new exhibit creations for Donetsk Forged Figures Park. Hey everyone! A question for you: how often do you chew a bubble gum? Every day, several times a day? Or it became an everyday routine that you never care about it. However, did you ever wonder who the inventor of first chewing gum was? How it was invented? How long do we use this “sweet-and-need”? Then it’s time to know more about it, because on September, 23 the first chewing gum was invented. It was 165 years ago. Quite fine for the invention that is thought to be modern. » Read more..
Do you use the Internet? Why do you use it? How often? Is it useful or not? What can you do with the help of Internet? 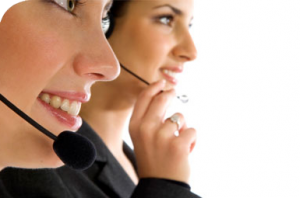 Online shopping, learning foreign languages, finding new meetings? Searching for your gorgeous Russian bride? But however that may be, there is no doubt that the Internet had become a necessary part in people’s everyday life. That’s a necessary and important enough thing to have its own day for celebration. It is September 22, and it is an annual day of Internet celebration called OneWebDay. » Read more..
Hey everyone! Do you think beer is all a man needs? Don’t see your life without this drink? If so, you should go out and visit Munich right away. Munich Oktoberfest-2013 has started today! Oktoberfest, or Munich Beer fest, is considered to be one of the biggest beer events. Most likely, it is the largest fair in the world. The annual number of Oktoberfest’ attendant is approximately six million people. The Oktoberfest is every year overcrowded by fest goers. The fest is believed to be an important integral part of either German or Bavarian culture.